At one point I believed the best TBN (Taiwanese Beef Noodle) belonged to Lao Shan Dong out in Burnaby. However, after a recent visit, Milhouse (a TBN aficionado) and I heartily agreed that this was no longer the case. That brought up a good question - where can we find the best TBN in the GVRD? I started to formulate some worthy contenders and I even surprised myself when Chef Hung crept into the conversation. I remember my first impressions of the Aberdeen location were positive, yet tempered with the slight premium I paid. 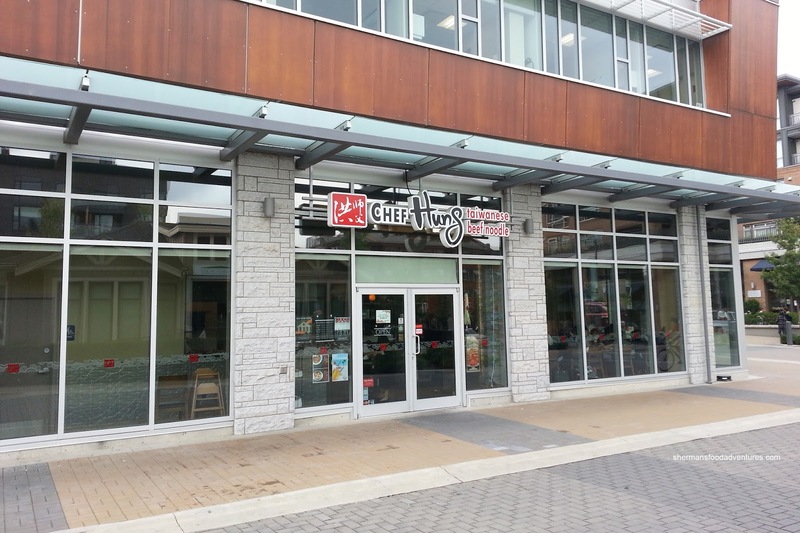 Fast forward to the present where I had just visited the West Van location, I was starting to warm up to the idea of Chef Hung being the best. Well, with a group of us meeting up for lunch at the UBC branch, it was another opportunity to confirm or refute that notion. 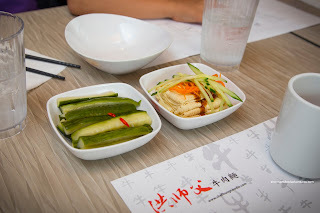 Before we hit the noodle soups, we went for some appies including the Cold Mixed Baby Cucumbers and Cold Mixed Bean Curd. Crunchy, bright and only slightly pickled, the cucumbers were a refreshing start to the meal. 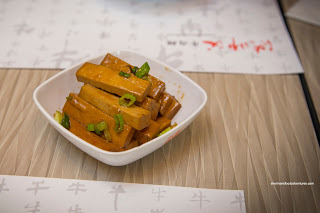 The folded sheets of bean curd skin were soft and buttery with a moist chew. They were lightly seasoned as well as drizzled with a salty oyster-based sauce. We also shared the Chicken Nuggets which were served in pretty large chunks. As a result, the meat was fairly succulent and juicy. The exterior coating was lightly crispy and nicely seasoned with a touch of 5-spice. Up next, we had the Marinated Dry Tofu served in uniformly sliced sticks. I found them appealingly firm and chewy while still retaining enough moisture that they weren't actually "dry". 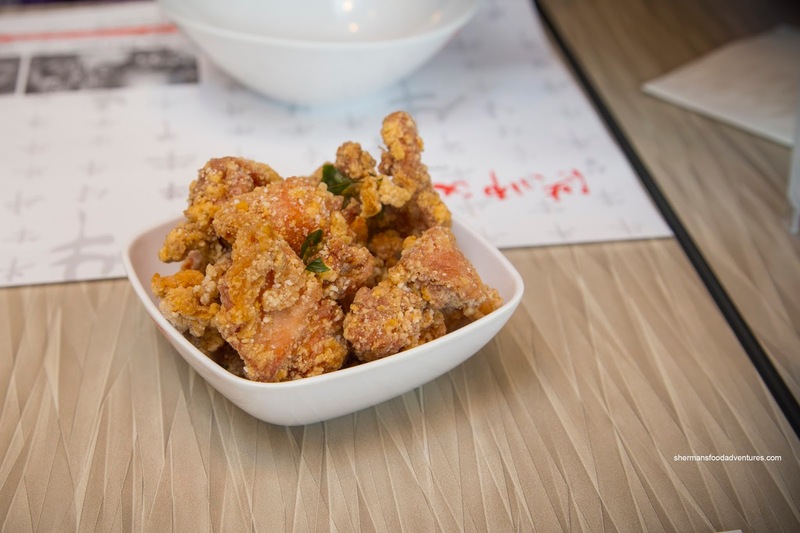 They were seasoned with a balance of soy and sugar as well as a touch of star anise. With Gordo's 2 kiddies joining us, we decided to go for 3 orders of the Xiao Long Bao. Although these were sorely lacking in soup, they were decent dumplings nonetheless. 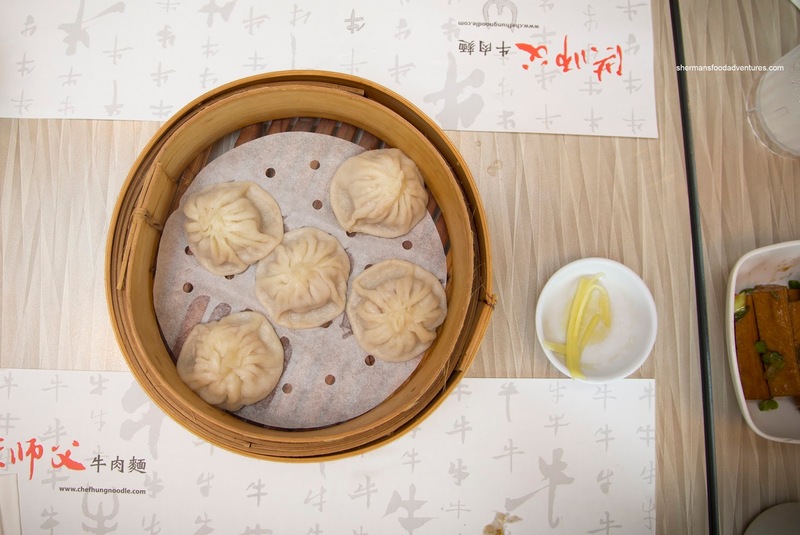 The dumpling skin was relatively thin in an almost Din Tai Fung manner while the filling was meaty and slightly chewy. It was savoury and sweet with only a tiny bit of soup. 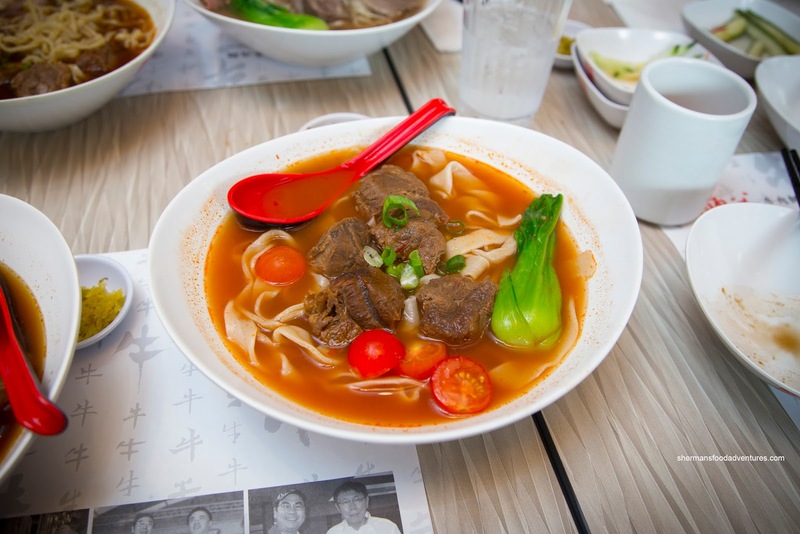 Onto the main event, we had the Champion with Beef Shank Noodle in Soup. Bear and Gordo had the thin noodles while I opted for the thick. 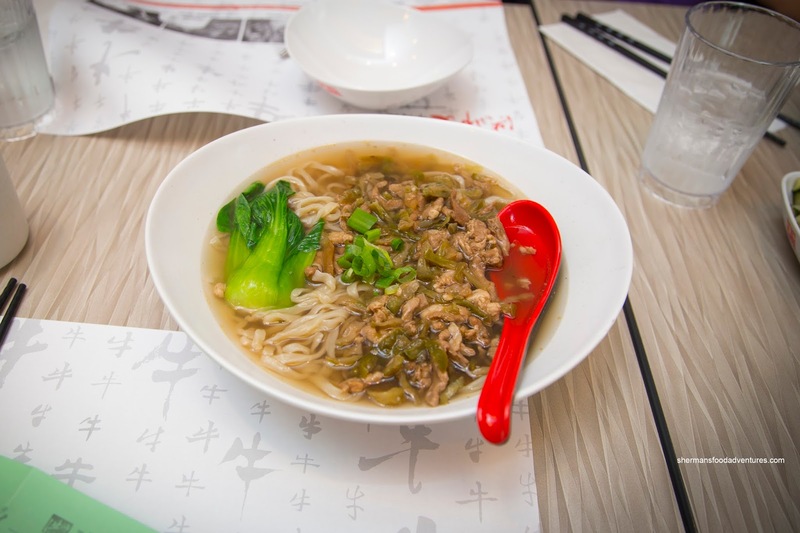 Texturally, the wide and flat noodles were firmly chewy while the thinner noodles were slippery and only slightly chewy. 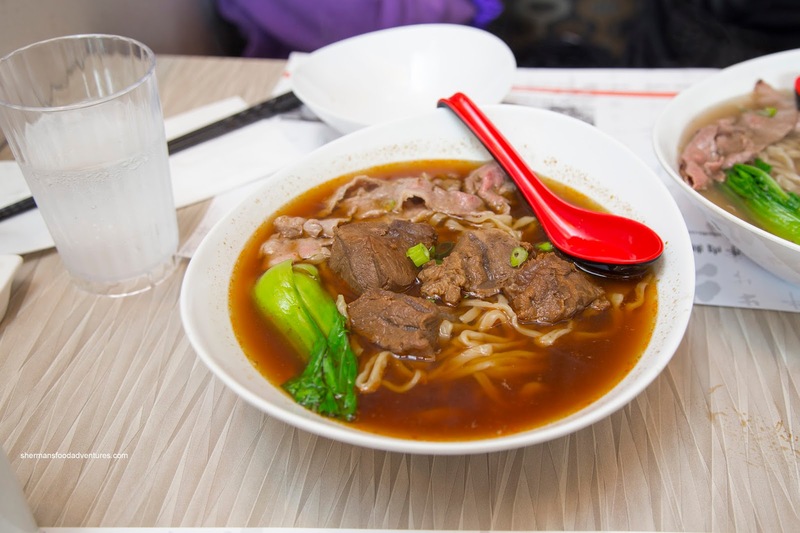 The soup base was not super powerful in terms of spice nor meat flavour, but it wasn't weak either. It was clean and purposeful in taste. As for the shank, it was tender, but ultimately on the drier side. 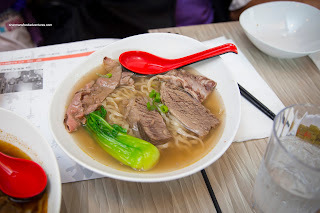 Next, the Champion Beef Brisket in Clear Soup was predictably much more subtle in taste. Again, the soup was clean, yet very lightly meaty. The best part was the melt-in-our-mouths short rib and the equally tender sliced beef. Milhouse was running a bit late and I pegged my bets that he'd order the Champion Braised Beef with Noodle in Tomato Soup. That he did and I sometimes wonder why I am so in tune with his eating habits... The broth was fairly light with an equally background tomato essence. He was indifferent with the whole thing, especially the relatively dry beef. Emilicious went off the board and had the Preserved Radish and Shredded Pork with Noodle in Clear Beef Broth. Seen often in HK-style cafes, this version was much more fulfilling with plenty of ingredients. Hence, the flavours were more intense due to the ample tart and slightly spicy radish. So does Chef Hung hold the title of best TBN in town? As much as it is a good bowl of TBN, I would say I'm still on the search for the best in town. 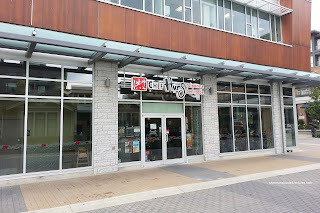 I've wanted to try Chef Hung's UBC location for the longest time! And since school starts up on Tuesday - I might just make my way down to Westbrook next week! The xlb does looks surprisingly decent! Maybe I'll order it haha! I don't think you mentioned it in the post - but how does this location compare to the one in Aberdeen? Was the quality consistent across the two locations?